A better education. A healthier home. A brighter future. Our aim is to help children and families living in severe poverty in Uganda, to improve their health & wellbeing, home life and education opportunities. The children in the villages we support are living in dire conditions, often without adult care, at high-risk of poor nutrition, malaria, HIV and other illnesses. Our fundraising provides the necessary support for a local communty-based NGO, CALM Africa, to deliver sustainable interventions, increasing their prospects for a healthier, happier future. 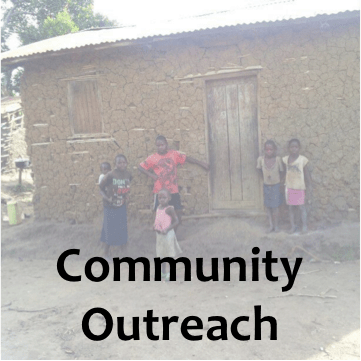 From family self-sufficiency kits, to foster care programmes, medical care and parental training, the Community Outreach programme spans a wide range of activities. Our fundraising not only helps provide necessities such as mosquito nets, cooking equipment and seeds to grow food, but extends so much more into improving family welfare. Education is so important for a child’s future, yet to many children in these areas it is inaccessible. CALM Africa have founded and support 3 schools from nursery to secondary education. Maintaining these foundations and a high standard of teaching is fundamental to CALM Africa’s goals. For many, school is not an option. 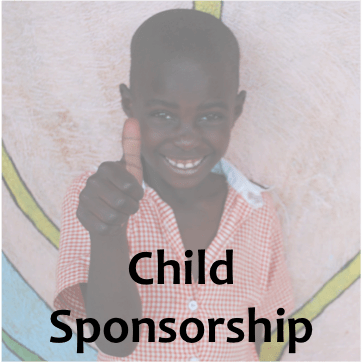 CALM Africa’s child sponsorship scheme enables these children to attend school and live a better childhood with boarding facilities at the schools, where they have better food and shelter. Find out more about how you could help a child today. Making a difference each and every day. Annual Report: Our most recent annual report is available publicly. Please click on the link to view in your browser or to download.